Excellence in Otolaryngology-Head and Neck Surgery through personalized medical care, education and research for a better tomorrow. Thomas Jefferson, principal draftsman of the declaration of independence, authorized the School of Anatomy and Medicine as one of the original eight schools that constituted the University of Virginia (UVA) on March 29, 1819. 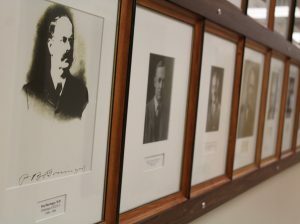 The School of Anatomy and Medicine grew steadily with the earliest ophthalmology and otolaryngology education beginning in the 1890s with lectures by Dr. Paul Barringer, who later became Chairman. This coincided with the development of the specialties on the national stage. Similar to other major medical schools in the latter part of the nineteenth century, the department was established in response to the rise of specialism in medical education and was further spurred by advances in scientific knowledge and equipment. 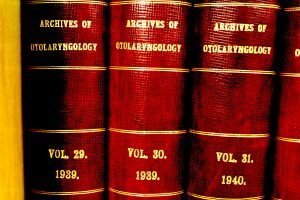 In 1888, the American Medical Association established the Otology, Rhinology, and Laryngology section, and in 1896, specialists formed the American Academy of Ophthalmology and Otolaryngology. Accordingly, the University of Virginia Department of Ophthalmology and Otolaryngology was established in 1905 with Halsted Hedges as the first full-time chairman. A year later, the American Laryngological, Rhinological, and Otological Society elected Hedges as a member—a prestigious honor that not only advanced his reputation, but also that of the department. The early prominence of the department was extraordinary for a university outside of the large ports of Boston, New York, and Philadelphia. When Dr. Stephen Watts came as Professor of Surgery in 1907, he began to institute resident training programs within the medical center —an important component in developing specialty departments—the first system of this type in the South and among the first in the country. Beginning that year, medical students had the opportunity to observe hospital treatments of otolaryngology patients as part of their “Diseases of the Eye, Ear, Nose, and Throat” course. The staff provided clinical instruction through the dispensary, hospital, and dissecting rooms and began exposing the medical students to basic procedures such as the tracheotomy and intubation of the larynx. Broader medical education within the medical center evolved and the Department of Ophthalmology and Otolaryngology residency began in 1921 as a combined program with Dr. Grant Preston becoming the first Ophthalmology and Otolaryngology resident after completing his medical school training at UVA and serving a year in internship at UVA. Later In 1924, nationally the American Board of Otolaryngology was established, the second specialty licensing board in the United States. The American Board of Otolaryngology was created in large part to certify and distinguish licensed otolaryngologists from medical practitioners ill-trained at performing operations in the complex head and neck region. During this critical period of development Fletcher Woodward received his doctor of medicine from the University of Virginia in 1919, and after completing a one-year internship at the University Hospital, he went to the Manhattan Eye, Ear, Nose, and Throat Clinic for his residency in the specialty. He then returned to UVA in 1928 and succeeded Dr. Hedges as department chairman, becoming a leader and pioneer in the field while remaining in the position over the following two decades. Under the leadership of Dr. Woodward, the Department began to offer more specialized and advanced treatments. 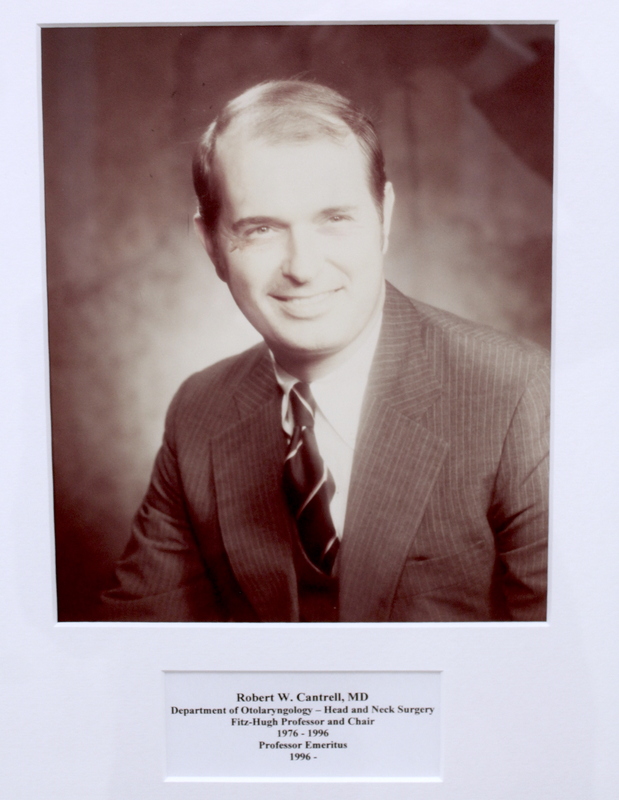 He progressively transformed the department from one that mainly performed traditional otolaryngology procedures, such as tonsillectomies, into a department nationally recognized for pioneering work in advanced head and neck surgical operations. He was the first person to perform a bronchoscopy in Virginia in 1928 and also the first to perform a laryngectomy in the state. 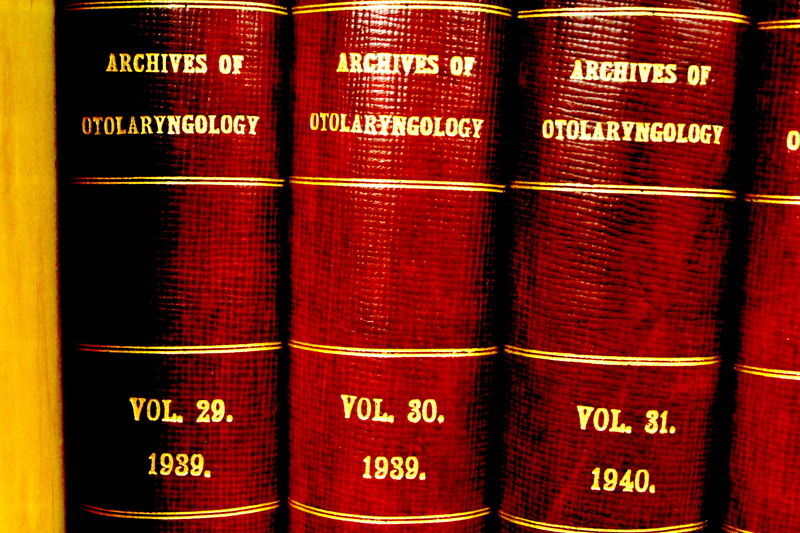 By 1957 staff members in the Otolaryngology performed thirteen total laryngectomies, ten of which were with otolaryngology residents. The residency continued to evolve with increased sophistication of the faculty. Staff members had begun to practice either ophthalmology or otolaryngology, eliminating the primary reasons for the two departments to remain together—no overlap existed between the two specialties at the university and this step was part of the natural evolution of both divisions. 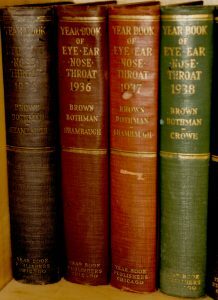 For the 1944-1945 academic year, the course of study in the medical school known as “Diseases of the Eye, Ear, Nose, and Throat,” divided into two distinct courses, “Otolaryngology” and “Ophthalmology.” The final division occurred in 1947 when the first resident was appointed for training in the Department of Otolaryngology, exclusive of ophthalmology. Ophthalmology and Otolaryngology were now two independent departments, each with separate residency programs and board certifications. While this separation occurred at a later date than some medical centers in major cities, the innovative move at UVA predated the division of the American Academy of Ophthalmology and Otolaryngology, which did not separate into two different medical societies until 1979. As an administrator, Woodward played a significant role in establishing the Virginia Hearing Foundation at the university and pioneered the development of a specialty speech and hearing clinic that opened in 1951. It later became a nationally-renowned center for otologic care. In addition, Dr. Cary Moon—an authority on stapedectomy—also joined the staff at this time. Thus, by the end of the Woodward era in 1951, the Department of Otolaryngology at the University of Virginia had established a comprehensive otology division, further enhancing its status as one of the premier otolaryngology institutions in the country. Dr. Woodward achieved national distinction in the field, holding positions of influence such as Director of the American Board of Otolaryngology, president of the American Laryngological, Rhinological, and Otological (Triological) Society and chairman of the Section of Laryngology, Otology, and Rhinology in the Southern Medical Association and American Medical Association. This recognition was instrumental in advancing the department to a position as one of the top programs in the country. When Dr. Woodward became gravely ill in 1951, Glassell Slaughter Fitz-Hugh took over as chair and served in that capacity for the next 25 years. Fitz-Hugh continued to expand the department’s clinical and teaching offerings. In addition to serving as president of the American Laryngological, Rhinological, and Otological Society and the American Laryngological Association, he received other prominent appointments during his career. 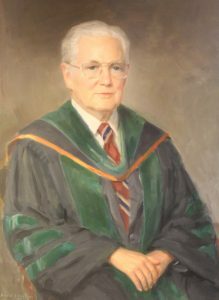 Fitz-Hugh’s accomplishments and stature helped bring nationally recognized surgeons to the department, which advanced not only the clinical and teaching aspects, but also gave birth to an extensive research program. The 1946-1947 catalog listed three staff members for the Department of Otolaryngology. By 1955 that number had doubled and by 1968, there were eleven staff physicians. Upon assuming the position as chairman, Fitz-Hugh made strengthening the head and neck surgical capabilities of the department a top priority; he realized the importance this subspecialty would have with regards to future expansion of otolaryngology programs. In order to expand the head and neck surgery section of the Otolaryngology department, he began to incorporate more surgical training into the otolaryngology residency program. The change, initiated in 1958, was completed in 1962 when the residents went through two years of general surgery training prior to their three years in otolaryngology. An expansion of the number of residents trained by the Department of Otolaryngology staff also occurred during the Fitz-Hugh years. In 1951, three residents received training at one time; this number doubled by 1965. Dr. Fitz-Hugh recruited Copley McLean, MD, in the mid-1950s and Robert Jahrsdoerfer, MD, in 1965. Dr. Fitz-Hugh ultimately faced mandatory retirement after 25 years of service to the institution and Robert W. Cantrell, MD was hired in 1976 as the first full-time academic chairman of the Department of Otolaryngology-Head and Neck Surgery. Some of his notable recruits include Mike Johns, MD, Roger Ruth, PhD, Ed Rubel, MD, Paul Lambert, MD, Jeff Corwin, PhD, Charles Gross, MD, Paul Levine, MD, and Stephen Park, MD, all of who have become major contributors and international leaders in the field. By the end of the 1970s, the otolaryngology residency program at the university included training in general otolaryngology, head and neck surgery, facial plastic and reconstructive surgery, broncho-esophagology, otology, neuro-otology, communicative disorders, and otolaryngic allergy. The inclusion of plastic surgery predated the formal approval of this subspecialty by more than two decades. Attaining a staff position in the Department of Otolaryngology held great prestige since graduates of the residency program and m embers of the staff often assumed chair positions at other major medical institutions across the country. Beginning in 1970—with support of the U.S. Public Health Service—the department began pioneering work to evaluate the use of chemotherapy and irradiation treatments for head and neck cancers. These were ground breaking endeavors since they paved the way for the future standard of care. The university remained at the forefront of this research, and by 1976, the Department of Otolaryngology had started using chemotherapy to treat patients with stage C esthesioneuroblastoma—a rare type of head and neck cancer. The department soon gained international recognition in treating this rare tumor and, today, the department continues to present the best series and outcomes for treating this cancer. In a 2001 article in Lancet Oncology, researchers reported the survival rate of patients diagnosed with esthesioneuroblastoma at forty-one percent; the university’s survival rate after five years was over eighty-six percent! Paul Levine, MD joined the faculty from Stanford University in 1984, assuming the role of Department Vice-Chair and Director of the Division of Head and Neck Surgical Oncology. Upon joining, he became the fifth faculty member in the department. In 1994, Dr. Cantrell was appointed Vice President and Provost for Health Sciences at the University and Dr. Levine was named Acting Chair. In 1997 Dr. Levine was formally named Chairman and remained in the position for twenty-one years. Of particular note, during this period the department had no less than four chairman or former chairmen on faculty; including Drs. Cantrell, Levine, Gross, and Jahrsdoerfer. Also during this period, faculty member Dr. Paul Lambert assumed the role of chair at the Medical University of South Carolina and has had continued success there. In 1994 Dr. Stephen Park joined the department and founded the Division of Facial Plastic & Reconstructive Surgery. Dr. Park’s prestige and international recognition has grown significantly during his years on faculty, including serving as president of the American Academy of Facial Plastic Surgery and being elected to the Board of Directors of the American Board of Otolaryngology. He is an internationally known speaker and trains post-residency fellows from around the world in techniques of facial plastic surgery. Later In 2010, J. Jared Christophel, MD, MPH (UVA residency ‘09) joined the division after fellowship training, expanding the capabilities of the division and focusing his clinical efforts on advanced techniques for facial reanimation following facial nerve injury. Dr. Christophel continues to perform clinical research addressing questions that are crucial to optimizing patient care through his public health training. The strong otologic history continues through the era of Dr. Lambert and the recruitment of George Hashisaki (UVA residency ’86). In 2004, Bradley Kesser, MD (UVA residency ‘98) joined the department and was in position to continue the legacy of Dr. Jahrsdoerfer and aural atresia at UVA. Today, the Division of Otology & Neurology has the strongest reputation and hosts a two year ACGME accredited fellowship. The Division of Communicative Disorders & Audiology has continued to thrive over the past decade. In 2009, Drs. Bradley Kesser and A. Tucker Gleason were named as the new co-directors of the Division. Today, there are a team of audiologists in the division, all with a master or doctoral degrees. In 2007, Spencer Payne, MD was hired to continue the development of the rhinology and sinus surgery practice. Following fellowship, he brought with him the latest clinical skills in sinus surgery such as balloon sinuplasty, and also an enthusiasm for teaching and research. He quickly created a partnership with Larry Borish, MD in Allergy & Clinical Immunology that involves research collaborations and a multidisciplinary allergy clinic. In addition, Dr. Payne has established a strong clinical collaboration with Dr. John Jane, Jr. in Neurosurgery to provide an endoscopic transnasal approach for pituitary surgery. With Dr. Payne’s continually expanding practice, the department has successfully recruited a second rhinologist, Jose Mattos MD MPH (UVA Med Sch ’11), to join the faculty to further expand the division and endoscopic approaches to the skullbase. His public health training has helped him establish himself as a leader in outcomes research following sinonasal surgery. Dr. Mattos is creating a new center of excellence in managing disorders of smell and taste. Mark J. Jameson, MD, PhD (UVA residency ’06) also joined the department in 2007 after completing his fellowship in Head and Neck Oncologic and Reconstructive Surgery. He initiated a microvascular surgery program within the department and remains on the cutting edge of that field. In addition to adding the most sophisticated reconstructive surgical skills, Dr. Jameson brought with him a passion for research. As an MD and PhD, his expertise for investigation and basic and translational research efforts have lifted the department’s entire research effort. In 2010, David C. Shonka, Jr., MD (UVA residency ’09) joined the Division of Head & Neck Surgical Oncology after completion of fellowship training. Dr. Shonka has lead the division in developing a robust Head and Neck Endocrine practice. In 2015 Katherine Fedder, MD joined the Head & Neck Surgical Oncology Division and has played a key role in resident and medical student education. Drs. Jameson, Shonka, and Fedder have developed an active program for transoral robotic surgery as an alternative to patients whose only option in the past was chemoradiation therapy. With these three head and neck surgery faculty, the division has continues to maintain a national reputation for excellent cancer outcomes. Sensing both a need in the community for additional high-quality general otolaryngology services and an opportunity for departmental expansion, Dr. Levine opened Charlottesville ENT in September 2003 with Daniel Landes, MD (UVA residency ‘95) as the primary otolaryngologist. This community practice was located within steps of Martha Jefferson Hospital and Dr. Landes quickly developed close working relationships with community physicians and Martha Jefferson Hospital. Based on the success of the practice and the positive community response, Dr. Levine took advantage of a strategic market opportunity in 2007 with the hire of John Mason, MD (UVA residency ‘97). Together, Drs. Landes and Mason have built the premier community practice in Charlottesville. Both of these physicians were residency trained at UVA, and Dr. Mason completed his Otology-Neurotology fellowship training at UVA. Both have also brought invaluable experience as general otolaryngologists and bridge the academic and community practices in a most unique way. In 2014, James Daniero, MD MS was recruited to build a Division of Laryngology, focusing on delivering cutting-edge care to patients with voice, swallowing, and upper airway disorders. Dr. Daniero has been successful in building a truly interdisciplinary Voice and Swallowing Center and has developed multidisciplinary collaborations with the Curry School of Education, Department of Biomedical Engineering, Transitional Care Hospital, and nearby Universities. Dr. Daniero also expanded the Division service line to include sophisticated in-office laryngeal procedures, such as vocal cord surgery (including the KTP laser) and transnasal esophagoscopy. Most recently, in 2018, as a testament to his broad success and international recognition, Dr. Park was internally chosen to become only the 5th Chairman of the Department of Otolaryngology-Head and Neck Surgery during its over 70-year history as an independent department at the University of Virginia.